With OnQueue, Magnatech’s hosted document delivery solution, TMCs can email personalized travel itineraries to their clients. 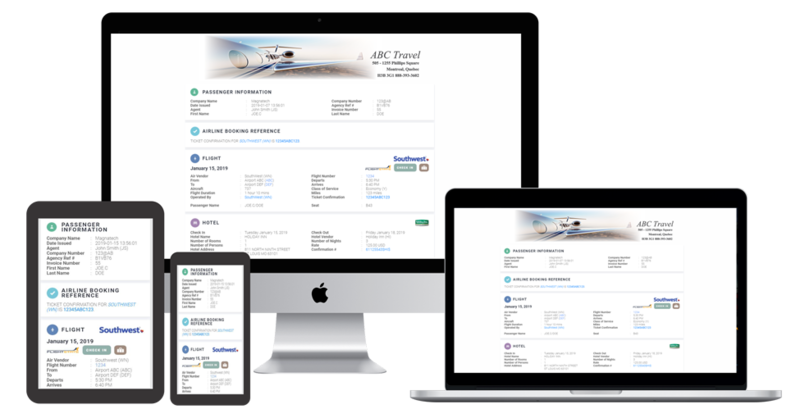 The itinerary allows for agency branding, PDF copies of the itinerary and/or invoice, as well as the option to sync the event directly to the travellers’ calendars. You can offer your travellers a tailored and professional service with an array of options that enhances your unique brand identity.